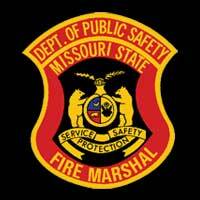 Fire Marshal’s Update – November 2018 | F.F.A.M. As some may or may not know we have had some new appointments within the Department of Public Safety. Governor Parson appointed Sandy Karsten as the new director to oversee the Department of Public Safety. Sandy was the Colonel of the Missouri State Highway Patrol at the time of her appointment. Director Karsten has 32 years working within public safety. I look forward to her leadership and commitment to working together moving forward. Congratulations Director Karsten! On October 16, 2018, Director Karsten announced Kenny Jones as the new Deputy Director for Public Safety. Deputy Director Jones left the Missouri Board of Probation and Parole to begin his duties with DPS. Jones served as Moniteau County Sheriff from 1985 to 2004. He owned a small business, AA Propane in Moniteau County from 2010 to 2012. Jones was a member of the Missouri Highway Patrol from 1973 to 1984 and served in the Missouri House of Representatives from District 117 from 2005 to 2010. In that role he was a member of the Missouri Emergency Response Commission. Ron Walker was appointed as the new SEMA director. Ron had served as deputy director of the State Emergency Management Agency since February 2017. He served as SEMA director from July 2014 to February 2017. During Walker’s tenure, SEMA had responsibility for the state’s response to and recovery from four federally declared major disasters. Ron began his career in law enforcement as a member of the Jefferson City Police Department in 1977. He was appointed to the Missouri State Highway Patrol in 1978 and rose to the rank of captain, before retiring from the patrol in 2013. We look forward to continuing a great partnership with SEMA under Ron’s leadership. Fire department registration is just around the corner for 2019. I am pleased to announce we, for the first time, obtained 80% fire department registrations last year! We have revised the registration website. We have made drop down boxes for a quick fill in application. We have added several more fields on the form in an attempt to collect more information which will allow us to expedite our response capabilities. One of our long-range goals here at the Division is to establish mutual aid regional response teams within each troop region. Thank you for registering with the Division! Please check with your neighboring departments and make sure they do as well. 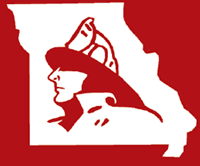 I would like to revisit a topic, the Missouri Advisory Committee on Arson Prevention (MACAP). This is a service available to assist in tracking down arsonists. Individuals can call 800-392-7766 (800-39-ARSON) and report information. 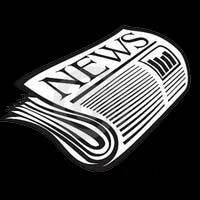 If the information leads to an arrest the reporting individual could be eligible for up to $5000 reward. In speaking with MACAP, this reward is very rarely used. There are posters, literature, and other items available to fire departments which you can use to display the arson hotline. Help us get the word out to your communities. We, along with fire departments across the nation, took the National Fire Prevention Week Theme Look, Listen, and Learn to the streets, schools, day-cares, and senior living facilities. Thank you to everyone who used this week to promote fire safety. Everything you do to educate your communities makes them safer, which keep you safer. Keep up the good work! National Volunteer Fire Council (NVFC) – If you are not familiar with this excellent resource you need to look up their website: NVFC.org. I visited it the other day looking for some data, and discovered numerous tools to promote things such as volunteer recruitment, social media, cancer prevention, and health education to name a few. Take the time and explore the site. I was very impressed! I frequently get asked if I know of departments hiring. I found this site the other day: makemeafirefighter.org. 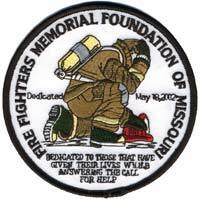 Take a moment to visit it and find out the departments which are looking for firefighters. 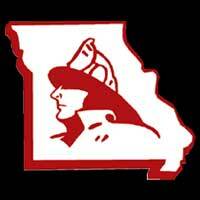 We had a meeting with Paul Kirchhoff who is the executive director of the Missouri Emergency Response Commission (MERC) and over sees the Chemical Emergency Preparedness Funds (CEPF) for our state. He reported that the LEPC’s may now start requesting HAZMAT classes. The application, course catalog are out and may be found at this website: sema.dps.mo.gov/about/merc.php. You must be up to date on your CEPF application to be awarded classes. All classes MUST be completed prior to October1, 2019 in order to remain within the federal fiscal calendar. It is important to work with your first responder when identifying class needs. The adjusted class minimum sizes from last year remain in effect. LEPC must request the classes on behalf of the first responders within their LEPC/LEPD. I encourage everyone to please take advantage of the FREE training offered by the MERC. There are several counties within our state that have not used the free training dollars that have been dedicated to them. If you have questions, feel free to contact Paul Kirchhoff at 573-526-9237 or email: paul.kirchhoff@sema.dps.mo.gov. In closing, thank you for everything you do throughout our state. The Division of Fire Safety, along with Judy and I wish you a Happy Thanksgiving! Stay Safe, I will leave you with this… What would you do if you woke up tomorrow morning and all you had is what you thanked God for yesterday?